From mowing to leaf cleanup and everything in between, we'll keep your home looking superb from the curb. Your property is a big investment. Keep it looking sharp with commercial lawn maintenance in Fort Wayne, IN. Keep your residential property clear of the winter freeze with our Fort Wayne, Indiana snow removal services. THE GRASS IS ALWAYS GREEN WITH BLADES OF FURY! Would you like a beautiful yard surrounding your property? Are you looking for a more professional, affordable lawn care company in Fort Wayne, Indiana? Look no further than Blades of Fury Lawn Care and Landscaping. We're a green industry company that you can trust with your home or business' yard. Have you been burned in the past by unreliable landscapers? Don't trust your property to just anyone! 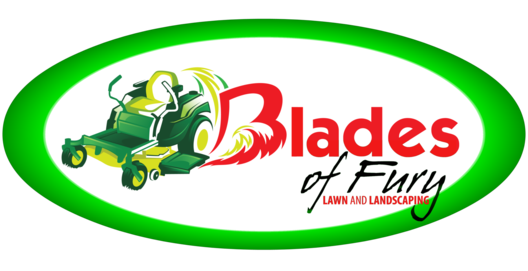 Let Blades of Fury Lawn Care and Landscaping set a new standard for professionalism and skill in your Fort Wayne, Indiana lawn mowing service. Want to find out how you can save money on your Fort Wayne, Indiana lawn care or landscaping without sacrificing quality? Call us today at 260-220-FURY to find out more! Copyright © 2019 Blades of Fury Lawn Care and Landscaping, all rights reserved.